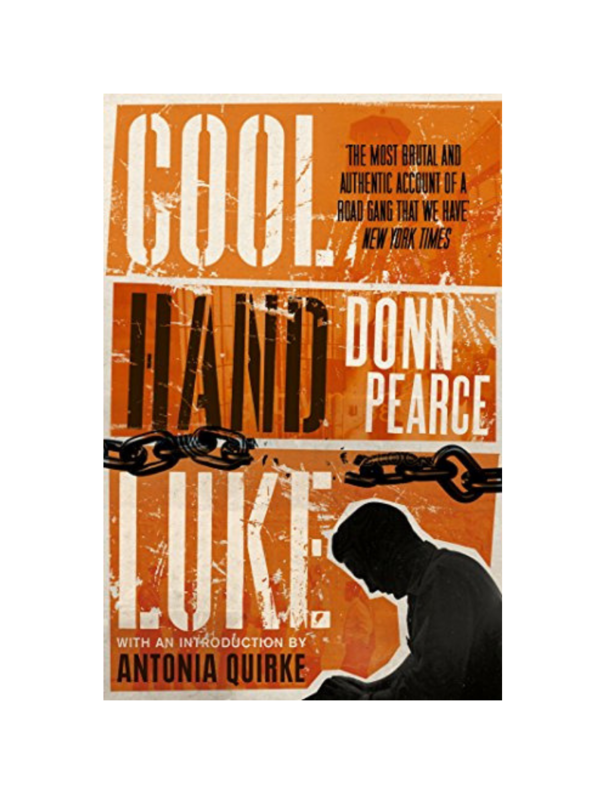 First published back in 1965, Cool Hand Luke it a beautifully written novel set in the deep south of America. It follows a group of convicts who have been sentenced to hard labour in the confines of a chain gang. The 1967 silver screen adaptation of this novel, featuring Paul Newman, was hugely successful, so much so it was nominated for four Academy Awards. Due to this success, the novel was largely and undeservedly overshadowed. The novel opens with an insight into the day to day life of the gang, from the perspective of Sailor, the main narrator of the story. From these first few pages, the tight-knit ‘family’ of the group, the brutal living conditions, minimal nourishment and the repetitiveness of their lives is made clear. Their contempt and jealousy for the free and their respect and sometimes fear of their guards is also eloquently outlined. The descriptions conjure perfect images of their cramped, filthy, pain-filled lives. During a break from their strenuous labour, they reminisce about a convict that gave them all hope and became a chain gang legend, Cool Hand Luke. Cool Hand Luke has the strength of character that being locked up just can’t break. He is a war hero, works hard on the roads to gain the respect of the guards and gambles, bets and swindles to gain respect and admiration among his fellow convicts. While jailed, Luke’s mother passes away, and although he’s placed in solitary confinement (the box) to make sure he doesn’t try to escape to attend her funeral, he makes a bolt as soon as he can. This is when the story really comes to life. Just knowing that one of their own has managed to escape back into the free world, gives the rest of the chain gang an entirely new lease of life. When Cool Hand Luke is eventually caught, the prison guards and bosses do everything they can to break his spirit. The author himself spent time in a chain gang after being caught for stealing and his experience and his insight comes across magnificently in this book. I also admire how the author creates such a strong character, that you instantly warm to but also inserts parts of the character’s history to inform you that he has done terrible things. Reminding the reader that although the convicts admire him, they should not necessarily so the same thing. This is an excellent read for anyone enjoys classic novels like To Kill a Mockingbird. Not only is it beautifully written but it gives the reader a unique insight into a period in history, a lifestyle that I am sure many would never be exposed to. I highly recommend it! If you like Cool Hand Luke byDonn Pearce you’ll love Tigers in Red Weather by Liza Klaussmann.